There are times when I lament my abysmal knowledge of Sinhala. It is a language of course, but even as a language it takes much more than memorising grammar rules and vocabulary to master it. Being a dilettante when it comes to these matters, I never really picked it up. Poetry eludes me, so does prose. I tried my hand at writing a few essays there and a few love poems here, but the experience was so overwhelming that I gave up. This was years ago. I haven’t tried again since. In hindsight this can indicate fear, ignorance, complacency, or a lack of willpower, depending on how you look at it. My excuse is that without getting acquainted with the foundation of a language or for that matter the historical processes behind a language, it is difficult to be creative. Professor K. A. I. Kalyanaratne, former co-honorary secretary of the Hela Havula, in a review of Cumaratunga Munidasa‘s Purana Sinhala Akuru Karanaya, contended that it is language which separates us from the animal world. I strongly agree. Language is what makes civilisation possible, and civilisation is what facilitates identity on the basis of shared rituals and practices. Perhaps no other intellectual and artiste from the 20th century understood this in relation to the Sinhala language more than Munidasa himself, whose death anniversary fell on July 25. No, this is not a sketch of the man, much less an exploration into what he did, rather some brief reflections on his work. Garrett Field, in his seminal but overlooked work Modernising Composition, contends that the modern history of linguistic politics in Sri Lanka begins with Cumaratunga. Put briefly, the man tried to do for the language what the revivalists of the previous century had done for Buddhism. It was his belief that purity in language, the ‘maw basa’, shorn of foreign accretions, was integral to the ideal of nationhood. There would not, in other words, be a ‘desa’ and ‘rasa’ without a ‘basa’. With this objective, he thus sought to redefine Sinhala, not just in relation to academic syllabuses (at one point he was appointed as an inspector of Anglo-Vernacular schools for the Department of Education), but also in opposition to the accepted texts which had been used to teach the subject. Based on these beliefs, he confidently rejected both the Sasadāvata and the Muvadevdāvata, which contained Sanskrit loanwords he felt to be inimical to his project. He was not, in other words, afraid of rebuking what needed to be rebuked. There were three faces to the man: linguist, poet, and activist. Contemporary society and scholarship tend to analyse each facet in isolation, forgetting that it is the fusion of them, and not the study of one over the other, which can help us understand what the man did and whether the project he spearheaded worked to its envisioned end. That is why his criticism of poets who imbibed Tagore cannot be seen as only an aesthetic judgment, but rather as an integral part of his belief in achieving purity in the markers of our identity. Not even the Mahavamsa was immune from his pen, since it promoted the idea that the Sinhalese were descended from North India, when historical records showed that there was a thriving “hela” civilisation prior to the arrival of Vijaya. I am certainly not up to the task of charting and tracing what Cumaratunga did in relation to Sinhala poetry, prose, and polemics, but I cannot help but observe that throughout his life, the man combined didacticism and austerity of expression to convey his beliefs to the lay reader, and to convince that reader. This proved to be a strength in later years. With Lakminipahana, Subasa, and Helio, the three journals which helped the Hela Havula disseminate its worldview throughout the country, he was able to turn his endeavours from the fringe project it could well have become to an active search for roots. And one demographic that he targeted, more than any other, was the child. 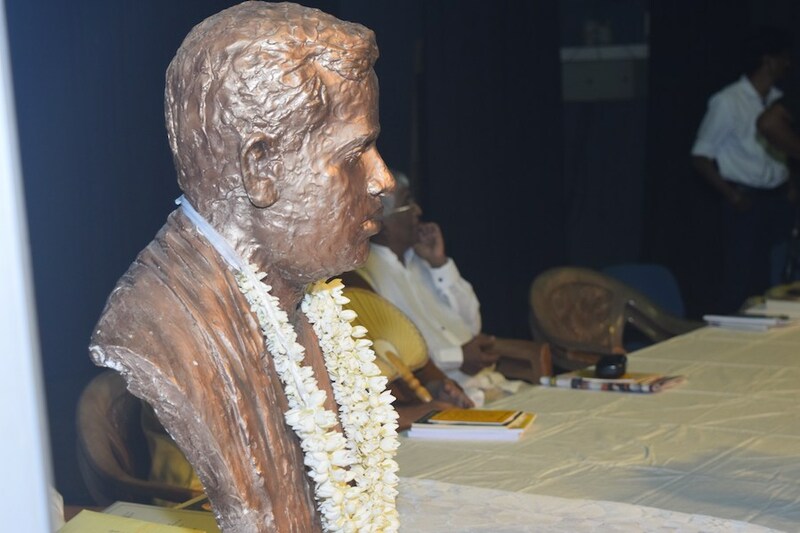 No one who has read Kumara Gee, or sung such immortal classics as “Ha Ha Hari Hawa”, can fail to be moved by its nuances, a point made by former Speaker of the Parliament W. J. M. Lokubandara at the recently held Cumaratunga Munidasa Sisuvarama, where he observed that the man’s poetry rises from its pages and implores us to musicalise it. There was nothing immobile about it, in other words. The Cumuratunga Munidasa Sisuvarama is one noteworthy way through which his contribution to children’s literature is being sustained, and promoted, among the children of today. 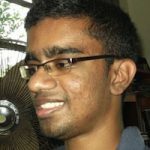 Begun in 2012 and organised by the Cumaratunga Munidasa Foundation, it rewards academic achievement in Sinhala by granting a scholarship to the student who obtains the highest mark for the subject at the Ordinary Level exams. Last year, which marked the fifth time the scholarship was granted, there were no less than eight winners, and considering that it took place at the Lakshman Kadirgamar Centre, it was bound to be packed. And so it was. Professor Wimal Dissanayake, who wrote an extensive piece years ago on the route linguistics took in Sri Lanka through the Munidasa, spoke of the way the man brought tradition to modernity. This year, by contrast, the organisers focused on the poet in the man, seeing it fit to invite the leading academic on the subject in Sri Lanka, Professor Sunil Ariyaratne. 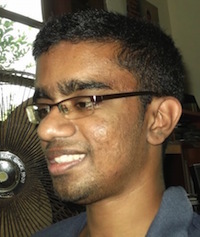 Also by contrast, this year saw just one winner, Senuki Vilara Gunaratne from Museaus College, with the event being unveiled at the much larger, more comfortable Western Province Aesthetic Resort, on the death anniversary of the Munidasa, July 25. Professor Ariyaratne spoke. He referred to some poems that, in his opinion, had not been researched into or analysed well before. He contended that these poems could help us gain insights into the man’s innermost beliefs. “Just as the moon brightens the night sky as a thousand stars cannot, so can one good child brighten up his parents’ life in a way that many bad children cannot,” he quoted, observing that it was the man’s didacticism, combined with the many metaphors he borrowed from everyday life, which made his poetry stand out. To this end, a few observations made by that other renowned critic of the Sinhala poem, Gunadasa Amarasekara, might be pertinent here. But while the likes of Rajakaruna failed to move from the 15th century, they did not make the error of erasing the fine distinction between prose and poetry, something Amarasekara argues the nisadas school committed. Amarasekara’s distrust of free verse was shared even by contemporary English language poets, most famously Robert Frost, who once contended that writing it was like “playing tennis with the net down.” “Because of the liberty taken by our free verse poets,” the critic argues in his piece, “Sinhalese writers began coming up with metaphors like ‘adaraye simenthi’ (‘the cement of love’) and ‘jeevithaye bhumi thel’ (‘the fuel of life’)”, implying of course that such metaphors made little to no sense and were a convenient cover for the writer’s laziness. Amarasekara then traces these to the poetry of Parakrama Kodithuwakku and Mahagama Sekara, whom he praises with some reservation: “Their efforts were facile at best, despite their depictions of rural Sinhala life.” The definitive work of Sinhala poetry of the 20th century, thus, for the critic at least, is Cumaratunga’s Piya Samara. I have tried to read Piya Samara many times, and I have tried valiantly to trace the man’s genius through the contours of its verses. I confess, Sekara’s Prabuddha and Munidasa’s Kumara Gee have been easier reads, if at all because I am not endowed enough to penetrate into the many layers at the heart of Piya Samara. To this end, I think it would be relevant to quote Amarasekara, channelling F. R. Leavis: “The (great) tradition of the Sinhala poem finds its peak in the last century with Munidasa Cumaratunga.” That no one continued from where he left off, barring the supporters he gained through the Hela Havula, says a lot about where his project stalled. It is not too late to pick up, though. Poetry, after all, is poetry. It is hidden in the innermost recesses of our imagination, and our imagination is but a product of our civilisation. « ලංකාවේ මත්ද්‍රව්‍ය මැඩලීමේ සංග්‍රාමය: විද්‍යාවක් ද, ප්‍ර​බන්ධයක් ද?